Today I attended the Committee of the Whole meeting in the Township of Georgian Bay. The committee voted to endorse the Flag Policy prepared by staff and directed the purchase of a 25 foot Courtesy Pole to be located near the Community Services building. I am pleased to announce that Muskoka Pride will be working with Laurie Kennard, Chief Administrative Officer, to arrange the raising of the Pride Flag on July 20, 2015. I would like to thank all of our members and allies who took the time to write letters of support and tell us what Pride and the Rainbow flag means to you. To the youth who hears 26 gay slurs a day the flag is visible symbol that it is does get better. A big thank you to the Township of Georgian Bay staff who worked to find a solution and the Mayor and Council for supporting a diverse and inclusive community. Please come out and join us for the flag raising in your community on July 20, 2015. Muskoka Pride has received emails from concerned members of the community regarding the Township of Georgian Bay Committee of the Whole vote on Tuesday to NOT raise the Rainbow Pride flag this year during the Muskoka Pride Festival. I spoke with Mayor Braid today to discuss the issue. The committee has requested that staff draft a policy regarding recognition of special events and flag raisings. This policy will be brought to the Committee of the Whole on May 12. Muskoka Pride has requested the opportunity to speak to the issue and a delegation will be on the agenda for the meeting. Our request for a flag raising will be brought forward again for discussion once the policy is in place. 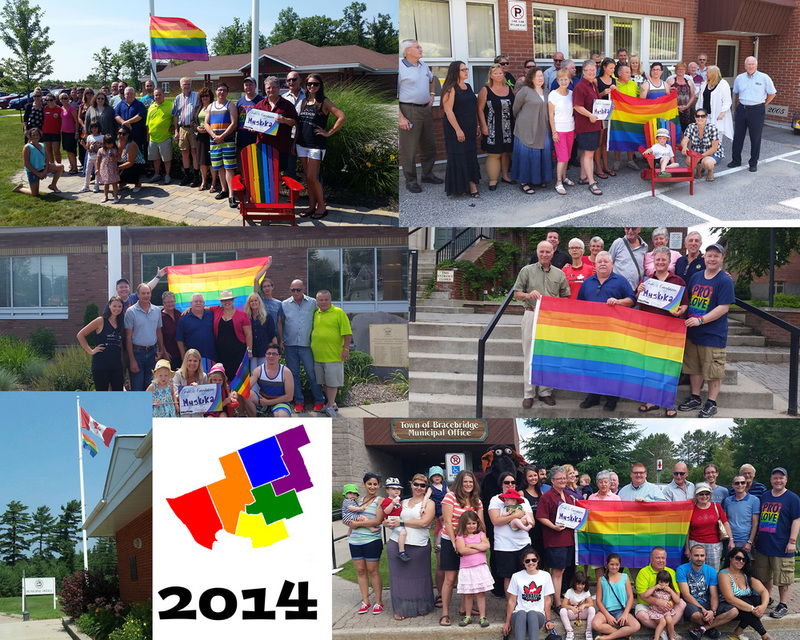 I believe Muskoka Pride can work with the Township of Georgian Bay to show the LGBT community that it is in fact "a safe and welcoming place" as stated in the vision statement in their Community Based Strategic Plan. I will provide regular updates as they become available and if you have any questions or concerns please contact me at chair@muskokapride.com.